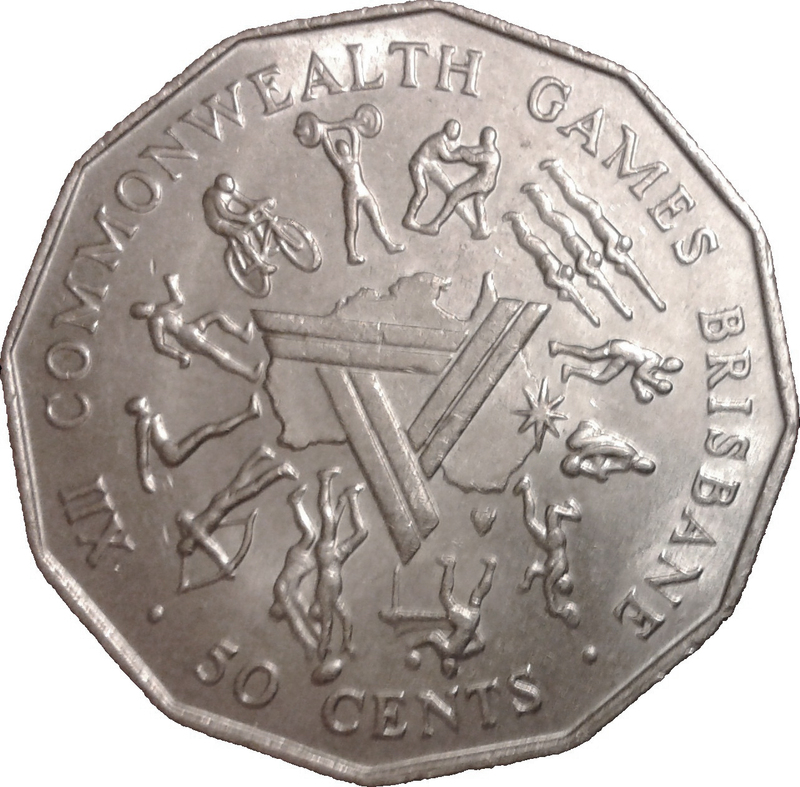 Depiction of the logo of the 1982 Brisbane Commonwealth Games over a map of Australia surrounded by icons representing 12 of the sports conducted during the games. 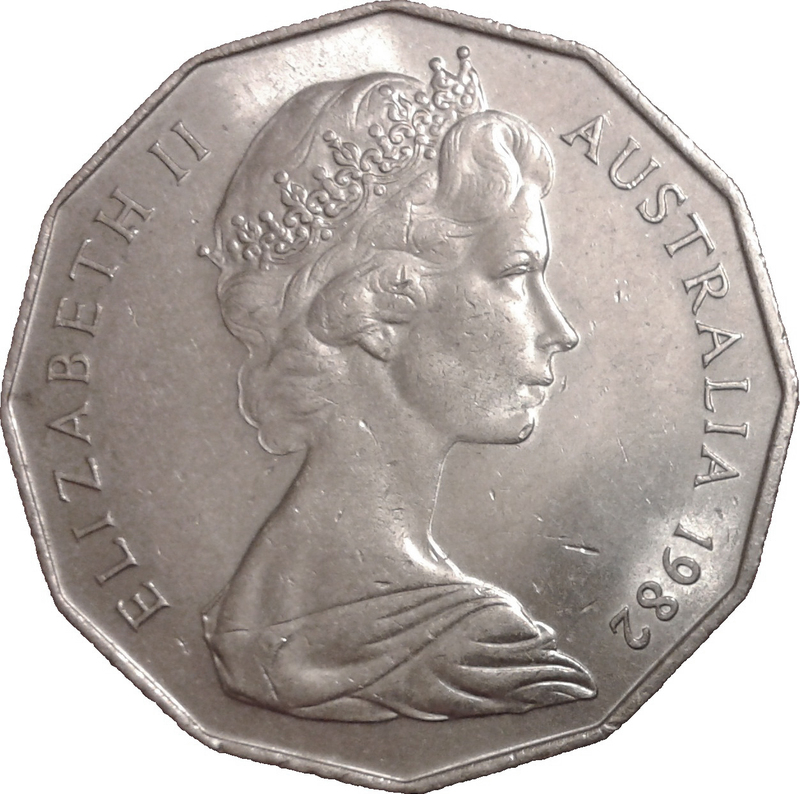 An eight-pointed star is shown at Brisbane's location. 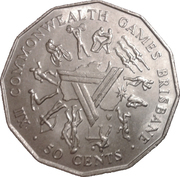 This coin was issued by the RAM to celebrate the holding of the 12th Commonwealth Games in Brisbane in 1982. 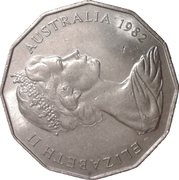 It was also issued as a specimen coin in a hard plastic case.